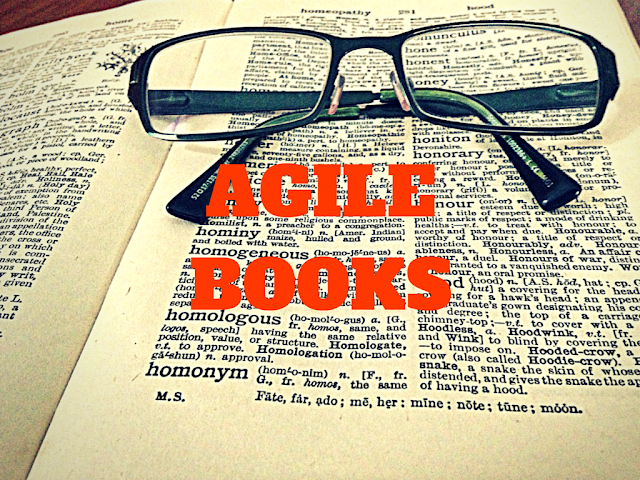 Looking for best agile books? We have short listed some of the highly recommended books on agile methodology. Learning agile methodology just by a agile methodology books may not be enough, however its essential to get a good start. Most agile practitioners are expected to know it thoroughly. (By: Ken Schwaber ) This is the best agile book out of the lot. The book provides a clear explanation about Scrum, starting from the basic tools and methodologies and it helps to provide accurate methods to fulfill customer requirements and for the translation of requirements into the software functions. The information is backed by a number of examples, case studies of real life projects about how to implement the information. The book also provides tips to solve a number of situational problems of Scrum implementation. The project management approach helps to reduce the overall time needed for implementation of Agile projects, to meet customer requirements satisfactorily and to reduce the overall error rate. (By: Mike Cohn ) This book is my second favorite and surely one of the best agile books. The book provides pragmatic approach to explain Agile Development, bringing the multiple planning approaches at several levels for measuring the software feature implementation, completion and acceptance. The book corrects a number of misunderstood attributes of Agile Development and explains the drawbacks of task based prediction models such as Gantt Charts, Work Breakdown Structures and PERT charts. The book provides general information but does not explain in-deep information. Part I explains the set-ups, Part II the details of estimating size, techniques and tools while Part III discusses value add planning. The book offers information about financial project analysis. Additionally, the first three parts of the book explain the concept of time, motivation, monitoring and communication. (By: Mike Cohn ) Every chapter contains a set of questions which are answered in the stories given and the explanation is highly sensible and carefully explained. The techniques are easy to apply and provide great value to the reader. The chapters explain the ways to handle requirements, qualitative aspects, performance and many elicit ways to monitor the progress of Agile projects. The writer explains cases, techniques and scenarios to find difference between stories. What’s more, the ideas in the book can be applied directly for productive use. (By: James Shore ) There are 37 Agile Development practices explained in the book which are categorized mainly in five - thinking, releasing, collaboration, planning and development. Examples are given related to ubiquitous language, energized work, vision and architecture; and some of the practices and concepts have been repeated across the book. Each article in the book explains a practice or a component of Agile Development. Thus, the book provides practical value to businesses, customers, testers, analysts and developers. (By: Jim Highsmith ) The book provides an overview on Agile Project Management and it also compares the Agile Development methodologies to traditional methods of Development. It explains the six principles of Agile Project Management by keeping the customer at the centre. It is based on dialogue between two project managers - one in Agile Development and other in the traditional management. The book provides a complete guidance for managing the Development of new products and explains concepts such as technical debt, exploration factors, anticipation, feasible deployment and opportunities refactoring. (By: Mike Cohn ) It provides an insight into Agile Development and compares some of the real ideas with stories, also offers examples of Agile Development which will appeal to a number of readers. Moreover, it provides tips to adopt new improved Agile Development procedures. The book is valuable for architects, programmers, testers, project managers and everyone who wants to integrate improved methods for developing software. The book is backed by a number of real world practices and has a great layout which ensures ideas and solutions are easy to understand, thus enabling successful adoption of Agile methods. In the 90s, Agile Development methodologies became popular which was mainly based on iterative Development where the solutions evolved through the process of collaboration between the cross functional teams. There are many different types of Agile Development methodologies. The four main phases of traditional software Development are designing architecture, testing, delivery and feedback. Today, Agile Development is mostly seen as the process which is suitable in certain environment types which involves many small teams. Hope you found this list useful! What are the top books you have read? Please don't forget to share with us in comments. Art of Agile Development is a good book that clears almost your all concept to Agile. It covers some of the basic examples of agile which makes you understand what exactly agile is and the way it works. Kenneth, thanks for sharing your thoughts. It helps.